Posted on October 10, 2018 by Mike Sonnenberg Posted in General Store, small towns	. If you are searching for Bliss in northern Michigan you will it find somewhere between Mackinaw City and Cross Village. It’s the name of a small town in the agricultural area south of Wilderness State Park. In 1878, the town got a post office, and the little community was named after Arron T. Bliss, a wealthy lumber baron in Saginaw. I assume he owned land and a sawmill in the area. He became the 25th governor of Michigan. 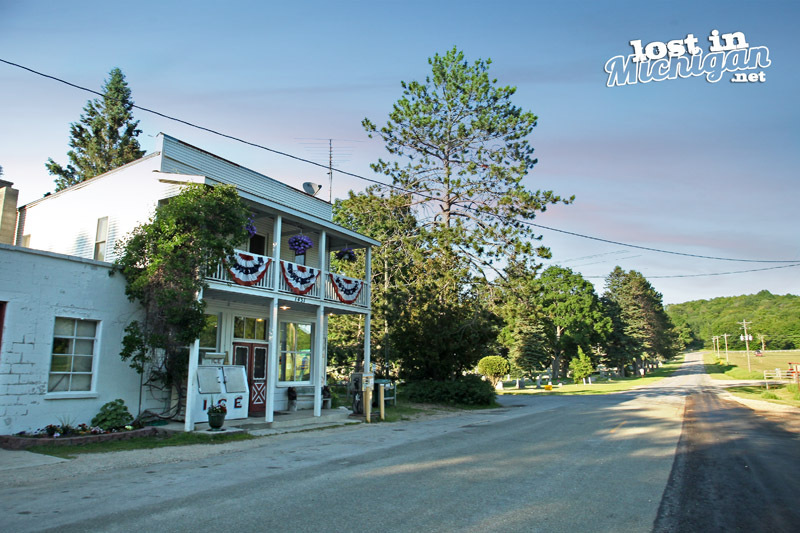 There is not a lot of buildings in the small town, but the general store is still in business. If you are in the area you can stop for a moment of bliss in the town of Bliss.